Guys, I made 2 versions. The 1-st is in blushes (make-up section) and the second in accessories but in glasses. They both come in the archieve. Enjoy! Beautiful and realistic ! Love it ! love it! hey will u create more Louboutin shoes? 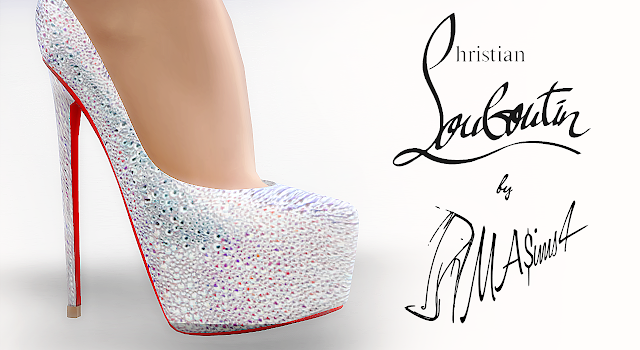 i love your shoes, and Louboutin is my favorite designer... thanks! perfect and fabulous work :) admiring. Классно, качаю! У тебя ресницы действительно работают в игре в отличии от Lemonleaf! Молодец!